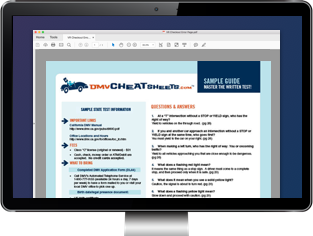 The Kansas Division of Vehicles (DMV) conveniently provides driver and vehicle forms online, most of which you can download below (you will need the free Adobe Reader to view and fill out PDF files). Keep in mind, some forms may ONLY be available at your local DMV office OR on our motorcycle manual and driver handbook pages. Motor vehicle forms: (785) 296-3621. Hearing impaired TTY: (785) 296-3613. Application for a new, duplicate, OR corrected Social Security card. Use the Department of Revenue's bill of sale as a proof of purchase when transferring ownership of a vehicle in Kansas. Log the number of practice driving hours your teen has completed as part of applying for their KS driver's license. Apply for original, replacement, renewal, OR transferred Kansas title AND/OR registration. If you're a KS resident living outside the U.S., use this form to request a replacement, extension, OR renewal of your Kansas driver's license, ID card, OR conceal carry license. If required by the DOR, submit this completed vision exam when applying for your Kansas driver's license. Must be completed by a vision specialist. Claim ownership of a vehicle as an heir or beneficiary if the deceased's estate meets the criteria outlined on this DOR form. Department of Revenue application for replacement of stolen or lost Kansas license plates, transfer of license plates, AND/OR request for specialty license plates. KS DOR affidavit allowing heirs to obtain a title and registration for a deceased person's vehicle if the criteria on the form are met. Use this DOR form to request a temporary KS driving permit, allowing you to drive recently-purchased vehicle while you wait for the paper title to arrive by mail. Notify the Kansas DOR of a lien release on a vehicle title. Form must be notarized. Qualified lienholders use this form to give consent for a transfer of vehicle ownership. Must be notarized. Request a replacement Kansas title OR add/release a lien on a title. Use this DOR form to disclose OR correct the mileage on a vehicle you're transferring ownership of. Department of Revenue form used to verify ownership of a vehicle, trailer, motor, OR antique vehicle. DOR application for personalized Kansas license plates. Request that a KS title with a lien be issued/mailed out-of-state. Must be notarized. This VIN verification form is required when transferring an out-of-state title to a Kansas title. Must be completed by a law enforcement officer. Members of the armed forces use this form to request a grace period for renewing their expired KS registration with the DOR. Claim exemption from Kansas sales tax when transferring ownership of a vehicle between immediate family members. Notify the Kansas Department of Revenue that you've sold a vehicle and are no longer liable for it. Department of Revenue application for KS disabled veteran license plates. Must be signed by a Regional Director of the Veteran's Administration. Members of the military use this form to claim exemption from Kansas' motor vehicle tax when titling and registering a vehicle. Submit this form to the DOR when applying for KS disabled parking placards OR license plates. Must be completed by a physician. Submit this DOR form to your KS county treasurer's office to certify you (or someone in your care) are permanently disabled. Looking for DOR Forms in another state?